Binibining Pilipinas crowned its 50th batch of beauty queens on April 14, 2013 (Sunday) at the Araneta Coliseum in Cubao, Quezon City, with a delayed telecast via ABS-CBN Channel. 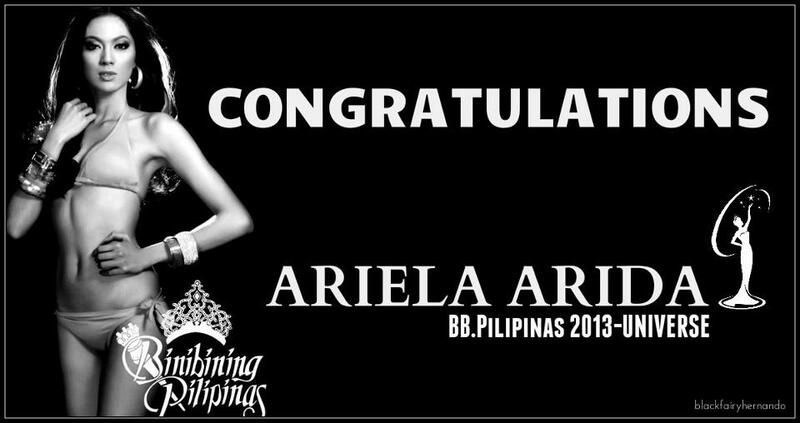 Ariella Arida from Laguna was crowned Bb Pilipinas Universe 2013. 24-year-old Arida is a BS Chemistry graduate from the University of the Philippines, Los Baños. Celebrating its golden anniversary, this batch had 50 contestants. The pageant was hosted by Martin Nievera and Dawn Zulueta. Commentators were Venus Raj, Shamcey Supsup and Janine Tugonon.